Please see our Wiki for product support, or submit a ticket if you do not find your answer there. Quick and easy access for regular visitors to our complete range of products. See our Solutions Guide or become a partner in our Partner Programme, or read our latest News. Please choose the Datasheet of the product you are interested in. Access to all of LM Downloadable's from our product pages including our literature and product Gallery. Get every important update delivered right to your inbox. The LM746 is an extremely versatile and cost effective Bluetooth® 5 compliant solution, enabling audio data to be wirelessly communicated between audio devices, using a Bluetooth® and Bluetooth low energy connection. It’s sound enhancement features make it a perfect fit within your premium audio device. 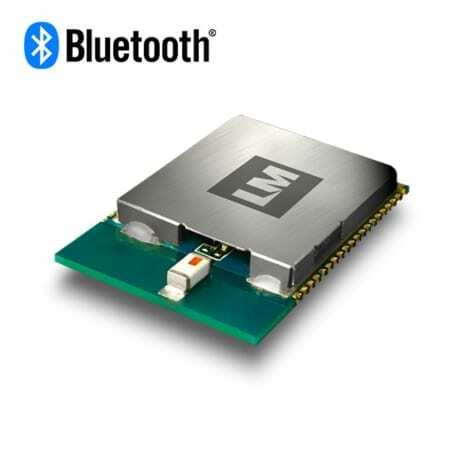 The LM746 Bluetooth® Dual Mode audio module is an extremely versatile and cost effective solution. Enabling audio data to be wirelessly communicated between audio devices using a Bluetooth® v2.0, v2.1 and Bluetooth® v4.0, v4.1, (or 5 compliant) connection. It’s sound enhancement features, makes it a perfect fit within your premium audio device. The sound enhancement features includes CSR’s aptX® audio technology. Providing CD-like quality over a Bluetooth® connection. And CSR’s cVc audio technology for noise cancellation. Perfectly suited to wireless headphones, speakers and hand-free headsets. This standalone module allows the developer to connect a microphone, speakers, capacitive touch sensors and other I/O devices. Running the user application without using an external MCU. LM offer application support to the developer and can create new user applications for the module. Your developed user application and settings can be preloaded to the LM746, simplifying the manufacturing and testing process. It’s SMT side and bottom pads allows for easy integrations into your embedded system. LM offers firmware development support to assist with bespoke solutions. The LM746 Multimedia Module comes with a range of firmware for quick deployment. Firmware can be modified to meet your unique requirements or used for evaluation purposes. The Headset application is Bluetooth 5 complaint, supporting the Headset Profile (HSP), Advance Audio Distribution Profile (A2DP) and Audio/Video Remote Control Profile (AVRCP). This defines the way the LM746 receives audio streaming from a connected device. It also enables basic control functionality such as play-pausing music, answering-rejecting calls and adjusting the volume. This makes it the perfect solution for manufacturing wireless head phones. The AT Commands Structure (0103) application contains the Audio Gateway Hands Free Profile (AGHFP). AGHFP allows the LM746 module to be the source of the audio stream for the connected device to output. The application also provides AT Commands for Bluetooth and Bluetooth low energy connections. Serial data is transmitted with the Serial Port Profile (SPP) and the Serial over GATT (Bluetooth low energy service). Users can read, write or modify data on the connected devices by utilising simple AT commands. The AT Commands Structure (0102) application contains the Audio Gateway Hands Free Profile (AGHFP). AGHFP allows the LM746 module to be the source of the audio stream for the connected device to output. The application also provides AT Commands for the Bluetooth connection. Serial data is transmitted with the Serial Port Profile (SPP). Users can read, write or modify data on the connected devices by utilising simple AT commands. Applications are evaluated with the LM558 Multimedia Development Kit. Please use the Enquire tab to discuss certification. For support questions, please Submit a Ticket in Support. Thank you. LM Technologies is a key enabler of both the Internet of Things (IoT) and cable-free integrator that designs, develops and manufactures innovative wireless products using world-leading technologies and standards, including Bluetooth® and WiFi™. For information, please contact us. If you have a support enquiry please submit a support ticket. © 2018 LM Technologies. All Rights Reserved. By clicking “I AGREE”, you agree to the storing of cookies. You can change your browser settings and opt-out at any time.